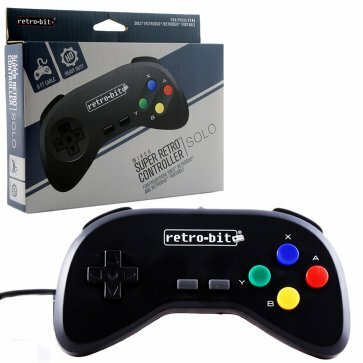 Get back to your gaming roots with the Wired Super Retro™ controller from Retro-Bit®! Featuring a comfortable, ergonomic design and six feet of cable length, this controller is the ideal blend of old school simplicity and modern comfort. Whether you're replacing a broken controller or you're just starting out on classic games, the Wired Super Wired Super Retro™ controller will let you enjoy a fully retro experience.